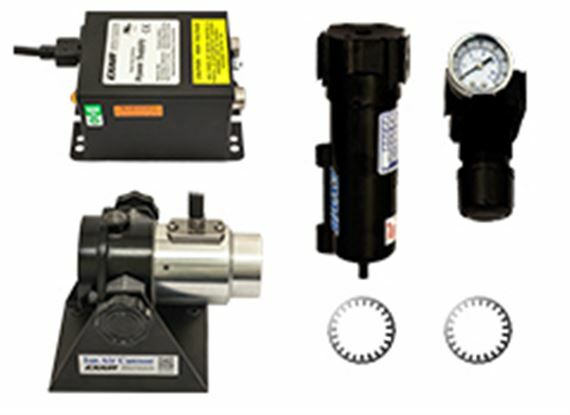 The Ion Air Cannon incorporates a Super Air Amplifier and ionizing collar, energized by a power supply. 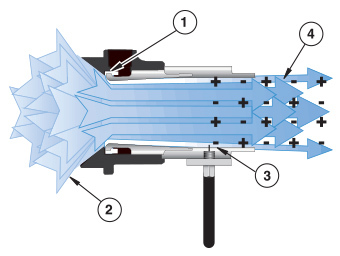 A small amount of compressed air is injected into the barrel of the cannon inducing a high volume flow of surrounding air to flow through it. An emitter point at the discharge end of the cannon ionizes the entire air stream. The result is a high volume, conical flow of ionized air capable of eliminating static and cleaning at distances up to 15 feet. 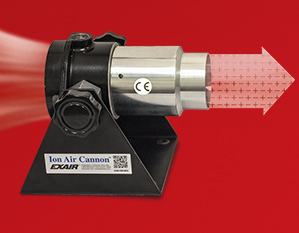 Because more than 90% of the ionized air is induced, the Ion Air Cannon produces maximum airflow at minimum air consumption.